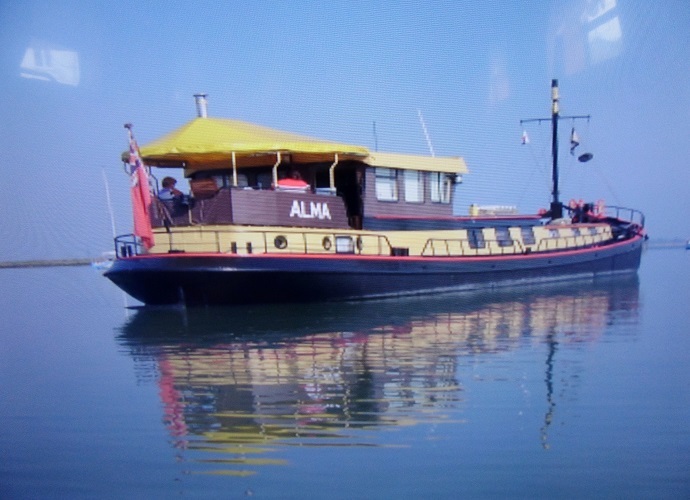 Premier Houseboats are pleased to present Alma, and extremely well maintained and fully operational Luxemotor. Alma has been extremely well fitted out, and finished throughout in oak and ash. Accommodation comprised a guest double cabin with en suite toilet, a large wheelhouse/summer lounge, well appointed kitchen, separate utility area, saloon, a second double bedroom, and a shower room with toilet and basin. There is built in storage throughout, has full diesel fired central heating, and there is also secondary double glazing for all windows. The boat is fully operational, comes with all navigation equipment, generator, and a tender enabling you to anchor offshore. This beautiful houseboat is ideal cruising home package, able to use both tidal and non tidal waterways, with the benefit of your mooring always there should you wish to travel for long periods. Alma was dry docked on May/June 2016, and had a full survey which will be available when viewing the boat, which was found to be in excellent condition.The hull was then painted and had new anodes fitted. The boat comes with a 49 year lease on the mooring, where instead of paying mooring fees of £1.25 per foot per week, you pay a maintenance charge of £30 per week, over the period this is a huge saving of over £200000 based on the mooring being 90', and that is without factoring in any potential increase in mooring rates over the period. The Alma is a stunning home, fitted out with style and attention to detail, and together with the new survey and mooring lease is an impressive package. 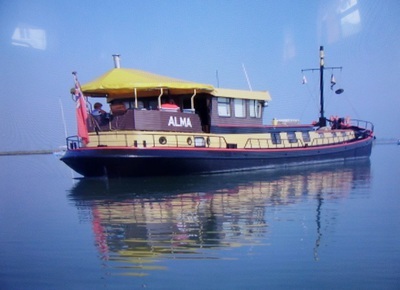 Vessel name: Alma Vessel condition: good Year constructed: 1938 Berths: 4 Cabins: 2 Heads: 2 No. of engines: 1 Engine model: Daf 6 cylinder Engine power: 100 Fuel type: Diesel Length over all: 80' Beam: 13' 6" Maximum draft: 4' Disclaimer Premier Houseboats offers the details of this advert in good faith as it was presented by the seller or his representative but cannot guarantee or warrant the accuracy of this information nor warrant the condition of the described item within this advert. A buyer should instruct his agents, or his surveyors, to investigate such details as the buyer desires validated. The Item described within this advert is offered subject to prior sale, price change, or withdrawal without notice.